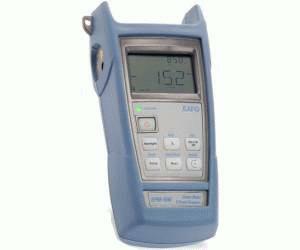 The EPM-500 Power Meter provides highly accurate power measurements, as well as reference value setting capabilities. What’s more, this convenient unit requires no offset nulling, for reliable, long-lasting performance in the field. When paired with an ELS-500 Light Source used in Auto-Switching mode, the power meter allows for semi-automated loss measurement, providing easy, error-free testing.